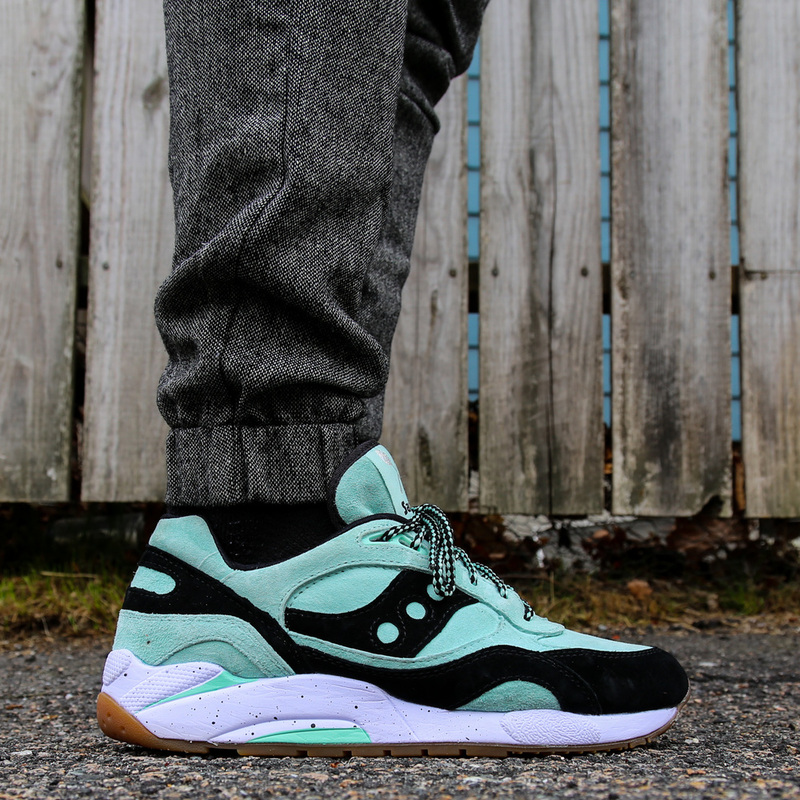 Saucony Originals latest inline "Scoops Pack" draws inspiration from Mint Chocolate Chip ice cream. The shoe fusions together a GRID 9000 bottom and Shadow 6000 upper. The hues of mint and speckled soles makes the shoe pop, making it the perfect Spring/Summer sneaker. The sneaker comes packaged in a special ice cream inspired box, gives you the option of 3 different laces, and has a custom ice cream dripping sole inserts.